Our First CD is available now for just £5 !! 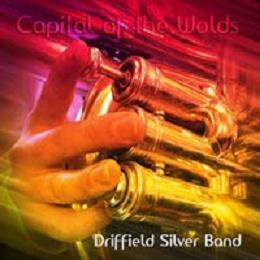 The Band's signature tune, Capital of the Wolds, commissioned by the Driffield Town Council, introduces a versatile programme and adds local flavour to the medley of big band sounds, show numbers and well-known movie themes. The carefully selected playlist goes up-tempo with the energetic percussion solo Brassed Off which is contrasted with numbers such as the flugel solo I Don't Know How to Love Him and The Driffield Rotary March written and arranged by the Bands senior cornet player Fred Muscroft. 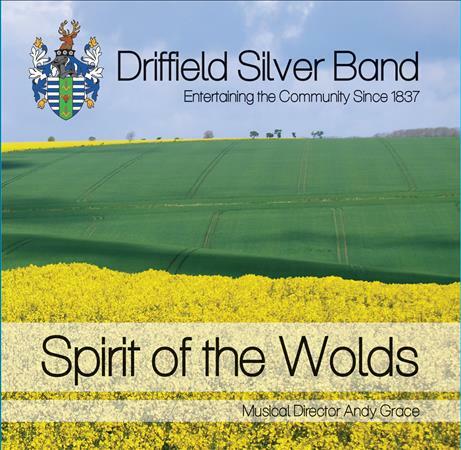 Driffield Silver Band was founded in 1828 and, with the support of a non playing, hard-working committee, has played consistently from that time to present day making it one of the oldest bands in England in continuous existence. The Band won the first ever recorded band contest in 1845, held at Burton Constable Hall, in which they won £12 prize money! The Band is currently thriving with a mixed age range from school students to the retired, with both sexes well represented. Being a Town Band, many civic duties are undertaken. Charity concerts make up the majority of the Bands other engagements and over the years the Band have raised many thousands of pounds for many worthy charities including the British Heart Foundation, Cancer Relief, MacMillan Nurses and the local Saint Catherine's Hospice. In a hastily arranged Tsunami Concert, the Band raised over £2,200. The Band have overseas connections through the town twinning organisations and have played in several European countries. During 2003 and 2005 the Band visited Driffield's Twin town of St Affrique in the South of France. The French choir, La Passacaille, even shared a concert platform with them and the renowned xylophone player, Larissa Puzule, flew from Latvia to make a guest appearance at their 175th Anniversary Concert. The Band would like to thank the local organisations who, through their kind support and donations, have enabled the production of this CD. This CD was put together as a tribute to our greatest ever supporter, Fred Robson. His association with the band lasted for over 75 years, as a player, a composer, ardent fan, and also our Vice President. Three of his marches are included in the track list. Great thanks must be bestowed on his family for their contribution to the costs of producing this CD.